Once again, Broadway Sound, will deliver an outstanding and diverse list of musical acts to entertain the expected 3,000 guests that will travel from across Sussex to enjoy this unique Street Music Festival. 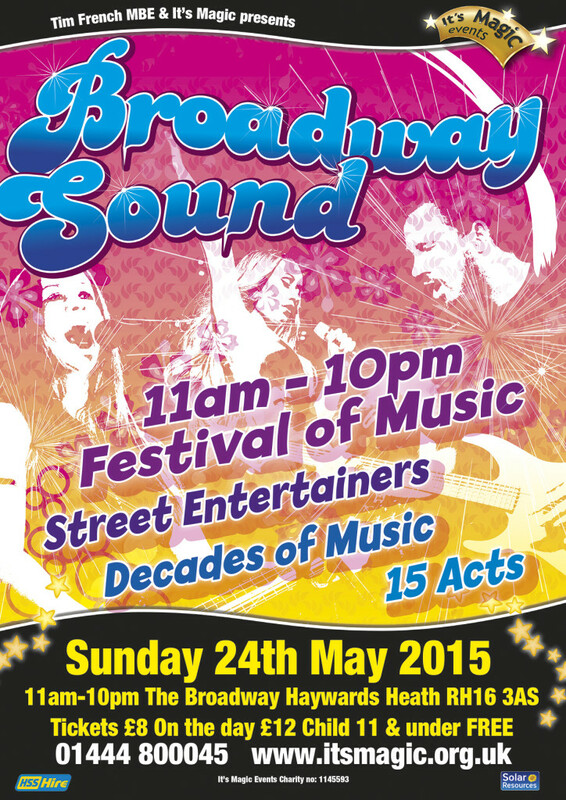 Tickets are now on sale for the ever popular Broadway Sound, a fantastic Bank Holiday magical day of music situated in the Broadway area of Haywards Heath, on Sunday 24th May. An excellent ‘day out’ for all the family – only £8 a ticket (purchased in advance), children 11 and under are free. There will be two stages, one at each end of the road, with 17 performances. This year’s impressive list of music styles will include Jazz, Blues, Rock, Pop, Country and Big Band – music for all, played back to back from 11am until 10pm. Jam-packed into a 100m stretch of The Broadway is a one-of-a-kind fiesta of the hottest local music, the ambience is created by closing The Broadway to traffic, additional seating areas spill out into the road from the cafes, bars and restaurants. Visitors can soak up the vibrant sounds and catch up with friends and families. Children are kept amused by children’s entertainers and face painters. The high quality of the Festival programming and the welcoming atmosphere has drawn audiences back again and again. For those who have never experienced the event – our only advice is get your tickets early. For those who have been before, thank you for your continuing support in making this such a fantastic event which this year has another spectacular musical line-up. 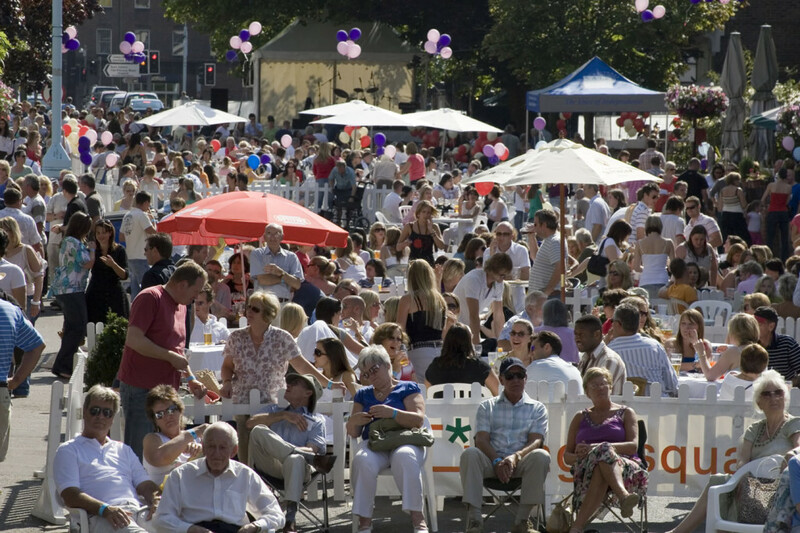 A magical summer street party atmosphere is created in the Broadway area, which is closed to traffic for these unique events with additional seating areas spilling out into the road from the cafes, bars and restaurants. Two stages are set up – one at each end of the road – which play host to 16 performances from a cross-genre schedule including Jazz, Folk, Rock, Classical, Pop and Blues, providing back to back music from 11am until 10pm.